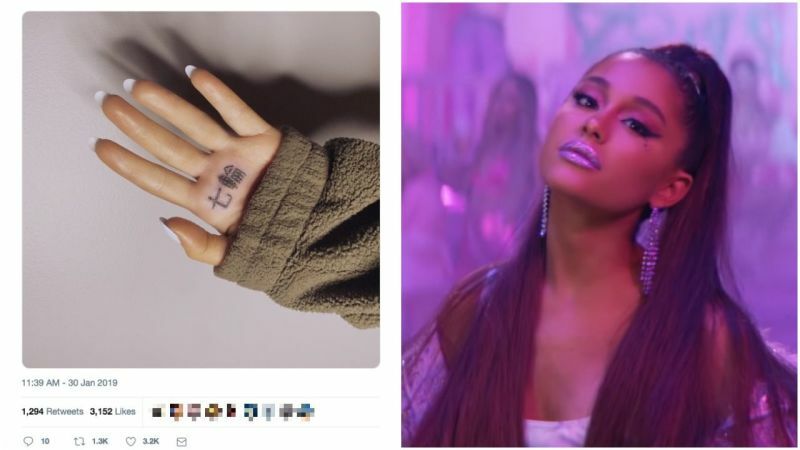 Ariana Grande gets Kanji tattoo she thought meant "seven rings" but actually means "small charcoal grill"
Grande posted a photo of her tattoo. In Japanese, it reads, 七輪 (shichirin). You can see the pic photo (via Grande’s official Japanese Twitter), which has since been deleted from her Instagram. The kanji character 七 means “seven,” while 輪 means “hoop,” “circle,” “ring,” or “wheel.” However, when you put them together, the meaning is different! 七輪 (shichirin) is a “small charcoal grill” and not “seven rings,” which is written differently in Japanese.